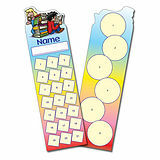 These pack of 10 Button Badges are a great way to celebrate World Book Day! 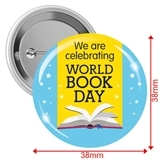 Did you know: World Book Day is a celebration! It's a celebration of authors, illustrators, books and (most importantly) it's a celebration of reading. 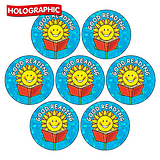 In fact, it's the biggest celebration of its kind, designated by UNESCO as a worldwide celebration of books and reading, and marked in over 100 countries all over the world?